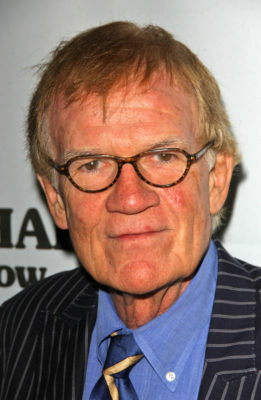 Jack Riley, star of The Bob Newhart Show and Rugrats, has passed away at the age of 80, Variety reports. In his nearly 50 years as an actor, Riley appeared in several TV shows, including The Flying Nun, I Dream of Jeannie, and Diff’rent Strokes. Born in Cleveland, Riley got his start on screen in the TV series Occasional Wife. From there, he starred in small parts on dozens of shows, like The Partridge Family, Hogan’s Heroes, Happy Days, and Barnaby Jones. In 1972, he landed the role of Elliot Carlin on The Bob Newhart Show. The iconic CBS sitcom ran for six seasons before ending in 1978. After it finished, Riley continued to play small roles on popular sitcoms such as Charles in Charge and Night Court. In 1991, Riley became the voice of Stu Pickles on Rugrats, Nickelodeon’s long-running animated series. He played Stu, a toy inventor and the father of Tommy Pickles, until the show ended in 2005. He also voiced the character in several of the show’s spin-offs, including All Grown Up and the series’ three feature film adaptations. Riley’s last TV role was in the 2008 web series East to Assemble. What do you think? Are you a fan of Jack Riley’s work? What’s your favorite role of his? Rest in peace, Stu Pickles.